Advocacy mail does not always get the credit it deserves. Part I of this post takes you through the basics of putting together a letter package for your advocacy mail campaign. Part II walks you through making the most of a letter package that includes a reply device (buckle up!). Assuming that you’ve formulated your advocacy strategy and a letter package makes sense for your larger advocacy program, it’s worth considering the inclusion of a reply device. Most direct mail is a one-shot communication and you can’t really see into the results (meaning, though we know from testing that direct mail is an effective medium and can move voters or advocates, unless there’s a plan for testing or some other measurement tool in place, you won’t easily have feedback available the way you would in a digital program). A reply device can change that. You’ll either need to print a separate postcard that goes into the envelope with the letter, or you’ll need to print the letter on heavier stock with a perforation so that recipients can tear it off and send it through the mail. Either way, it’s not just a simple matter of printing on a regular piece of paper. For the best response rates, you’re going to want to pay the return postage, rather than asking people to affix a stamp themselves. We typically recommend including data caging in the costs of a reply device to ensure that data is aggregated in a timely manner and formatted in a way that’s useable for the client (more on this in best practices below). Rates of return vary, and they likely won’t be huge. Typically, I’d expect a range of two–five percent. If the primary goal for your program is list building, this is not the most cost-effective medium (though it may be the best way to reach people who are less likely to be online advocates). Adding a reply device can also add to your production timeline, depending on how you set up your mailer. All that said, letter packages with a reply device are still the best way to get feedback from your advocacy mail universe and list build for the long term within the confines of a direct mail program. So, you’ve decided to move forward with a reply device. What’s next? Decide what information you’re going to try to collect. Unlike an online form, there’s no way to require information in this medium. I’d recommend that you keep it simple with a couple of lines about why they’re signing the card (is this a statement of support for a policy? Are they signing up to receive more information about an issue? Etc. ), along with contact information options (first name, last name, email address, maybe address or phone number). You can also include a space for comments, but I generally find that people skip this, and it adds to the cost of data caging. Remember, this is likely going to be a 3 x 5 card, so you won’t have endless space. One of the great (if a little creepy) innovations from the mail world is the ability to assign each member of your target audience a custom barcode. That barcode should be included in the reply device setup and corresponds to whomever the addressee is on an individual letter. 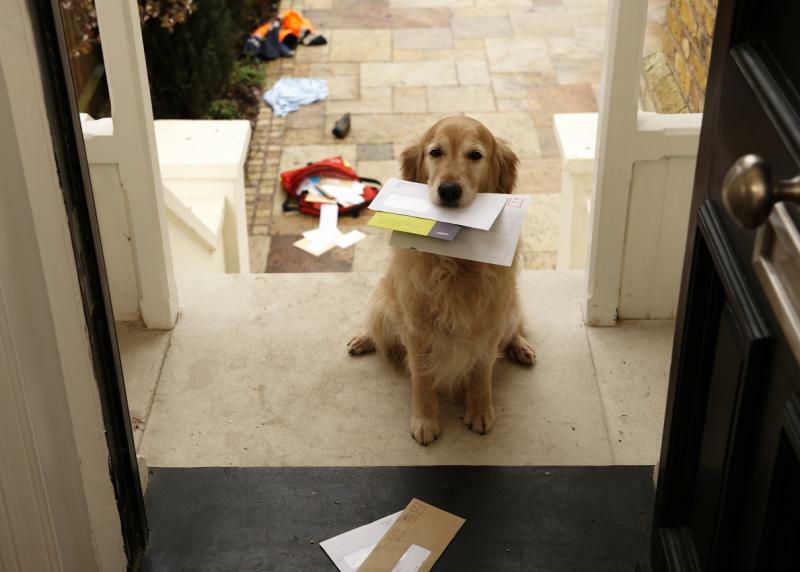 When someone in that household drops the completed postcard in the mail, you get that information reported back to you. While you won’t have any additional information (e.g. email address), you will have a sense of how many replies come in and who they’re likely from (again, it’s possible that someone in the household aside from the original addressee filled out the form). You may have the best of intentions when it comes to making sure you get the cards and add all of the information to a spreadsheet to upload into your CRM. In reality, I’ve never seen a client manage this process in a timely manner (and fair enough! It’s time consuming and you’re trying to run an advocacy campaign—it’s not a great use of your time and resources). Side step delays and painful data entry by getting the data caged. Ideally, this will mean that postcards get sent to a PO box that the caging company manages for you. Which leads to my next point. Do not send postcards directly to decision makers. If you’re using these cards to show a decision maker that your policy has a lot of community support, that’s fantastic, but don’t send the cards directly to that lawmaker! First, that means you miss out on the incoming data and list building opportunity. Second, it means you lose control of the delivery. That decision maker may not be willing to publicly admit that they’ve seen a large public outcry around the issue. It’s also possible that if they only see a steady trickle of mail, they won’t clock it as the volume you’ve really achieved. Seen photos of people wheeling boxes of petitions to a lawmaker? They controlled delivery and maximized the visual to show volume. Get your BRM set up early. A business reply mail (BRM) permit is likely needed if you’re planning to pay for return postage (again, a best practice to get the best response rate from your mailer). This means you set up a permit with the USPS and then use very specific art for the address side of the postcard. The BRM requires some paperwork and a setup fee (which is another factor that increases your costs over a regular mailer). It should be a fairly simple process, but it’s something that I’d strongly recommend you pin down sooner rather than later, as it has the potential to hold things up if you bump into any hiccups. Make sure your art is formatted efficiently for production. There are a few different ways you may choose to put together a letter package with a reply device for your advocacy mail program. If you’re coordinating this all yourself, it will be important to touch base with your print shop to determine the most efficient ways to set up your art. This will help you cut down on both cost and production time. To sum up, letter packages are a great way to bump up audience interaction with your advocacy mail, and reply devices (though an additional cost) are a great way to get important feedback about your program while also building capacity for the long term. have questions about advocacy mail and reply devices? Drop us a note.